Upcoming DLC Operation Skull Rain is all about Brazil. 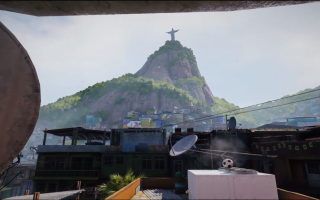 There is a good reason for setting a Rainbow Six Siege map in a favela: they tend not to be very well-built. Siege's big thing is its environmental destruction, and the combination of both things will apparently result in the game's "most destructible map to date". Are you looking forward to smashing the town to pieces? We don't have a release date for the DLC yet, but it seems we'll hear more—including that date, probably—on July 30, during a livestream of season two of Xbox Pro League Finals.